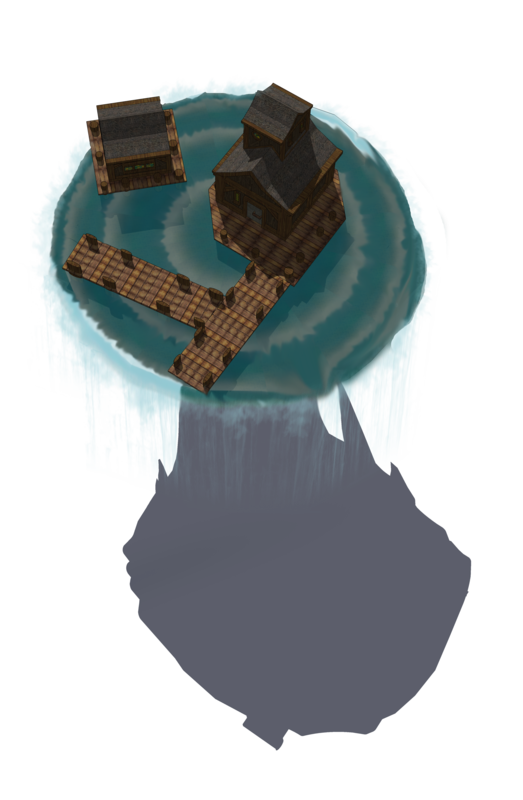 Once more into the fray, we have another floating island from last week’s Crown of the Heartlands game. This time it is a floating dream island version of Chadwick’s Orphanage from the Barrelbog map-set. I was pretty happy with how the waterfall worked out on this one.